With the tenacious competition in the business industry, the tendency to deliver the best has become the utmost priority. Web-Development companies are thriving for the same. These companies are now concentrating on the use of edge-cutting technologies or tools for customized app development. For an enterprise app development, the first and foremost thing to keep under consideration is the nature of the business. The selection for the best technology or framework comes second! As we know, there is always a consistent change in the market of technology so, the best technology should always be chosen for best results. Hence, Microsoft came up with the .NET. This framework is known as the ultimate framework for developing high-end websites and enterprise applications. Dot Net is an exceptional framework for server-side scripting. And for this, Windows web server is used to host the websites and web applications developed in .NET. By using this framework for web development, reliable and reusable enterprise applications can be built. An enterprise application is a large software system which is used to operate the daily corporate processes and assist with the business problems. The attributes of the enterprise application will vary from industry to industry. These applications might assist the different departments of an industry such as inventory management. Earlier, only large enterprises used to have this kind of software as they were complex to build. But with the advancement in technology, even the small-scale businesses can enjoy the advantages of these softwares. The enterprise applications developed in the Dot Net framework serves leverage to all enterprises irrespective of their sizes. These applications exhibit better corresponding business profits such as- gaining more clients or customers. 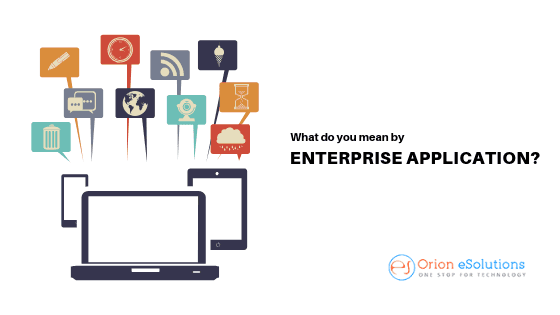 What is the role of Enterprise Application in Business? Our lives revolve around the technology, even for simpler tasks such as communication, e-banking, ticket reservation, etc. So, in this tech-world why would a business firm would lag behind? Hence, the enterprise applications come to the scene for better business efficiency, productivity, and profit on big data. It authorizes field workers, especially the ones who are adapting to the changing landscape of the corporate world i.e by using smart devices. Enterprise apps such as “big data” and “analytics generate” help the enterprise to decide better for their business. It supports better user-client relationship. Why should .NET be preferred for building Enterprise Application? 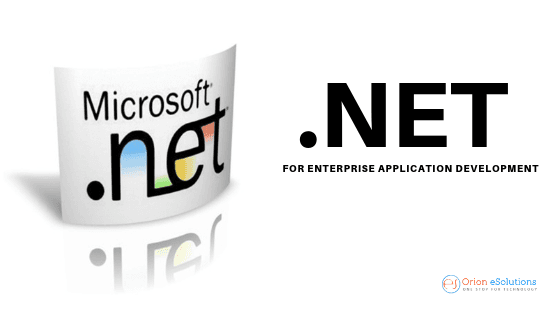 Dot Net is an application software development framework which is powered by Microsoft. It was initially developed only for Windows platform but later on, it was made available for other platforms too. It is now one of the most popular and widely used development framework for Enterprise application development. It is preferred because it not only provides the best development environment but also a secure application. The critical issues such as bad pointer manipulation or even a small harmful attempt to change the compiled code can be averted easily with .NET. It has two famous variants of .NET Core and .NET framework which share some common yet different approach for app development. .Net Core is the variant of Dot Net which offers development environment for app development, be it a website or mobile apps or console apps. .Net Framework, on the other hand, is used for developing applications which are compatible only for windows platform. 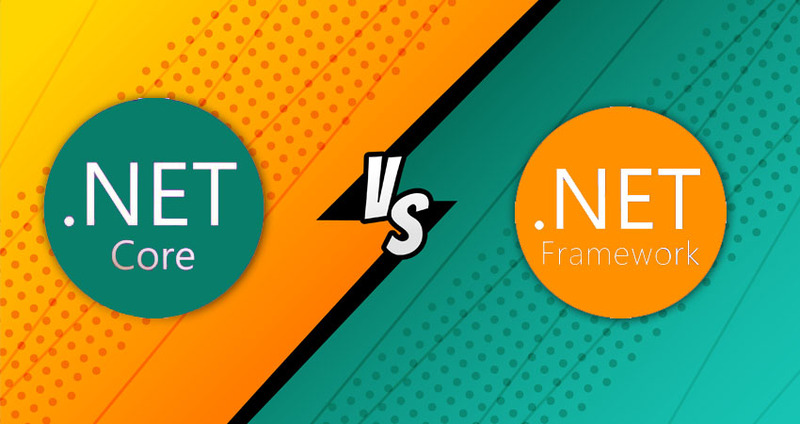 So, choose the right variant of the Dot Net framework that suits your needs. Understanding .NET as an IDE! Yes, it also works as an Integrated Development Environment (IDE), developed by Microsoft which supports development in more than 60 programming languages. The languages include (C#.NET, VB.NET, .NET, C++, J#.NET JSCRIPT.NET, F#.NET, WINDOWS POWERSHELL, IRON PYTHON, IRON RUBY, C OMEGA, etc. Other organization like PHP look out to cooperate with .NET to create better windows-based applications that are easier to develop, manage, deploy and integrate with the other existing platforms. Dot Net written programs are executed in a software environment called- Common Language Runtime (CLR). Basically, CLR is an application virtual machine which offers services like memory management, security and memory management. The codes written in .NET framework are known as “managed codes.” Framework Class Library (FCL) and Common Language Runtime (CLR) jointly constitute .NET Framework. What features make .NET the best framework for Enterprise Application? With .NET, it is easy to develop any application operating on any platform. Multiple languages, libraries, editors can be used to build the mobile, web and desktop applications. The .NET environment is fast which enables the applications to provide better response time with less computational power. Most app-developers admit that .NET offers easy application development platform. Exceptional quality enterprise applications that are synced with the business goals can be developed in less time and with fewer efforts. Visual Studio caters all the tools and support needed for app development. Microsoft’s trend of adding components with “drag and drop” method is applicable with .NET too. And, for the connectivity of the relational and non-relational systems during app development, products like ADO.NET offers a great advantage. While enterprises can have long-coding routines and modules, .NET makes it easy reducing the code into minimal. Change being an integral part of the business industry, any maintenance must not exceed the total cost of the original business conduct. So, with .NET, the configurations are easily changeable and all are cost-effective. Also, for enabling the intensive applications, this framework has received a huge industrial recognition. The key aspect of any technology is resourcing and because of .NET cost-effectiveness and ease of development, most of the tech-companies offer their resourcing services on this framework. Component reusability is the core of this framework. The most parts of the environment configuration, code or any other parameter are reusable. For any enterprise, backward compatibility and easy integration with the existing system is necessary and these factors are facilitated by Dot Net framework. Hence, the applications built in Dot Net, run coherently on every computing device such as mobiles, tablets, desktops, etc. 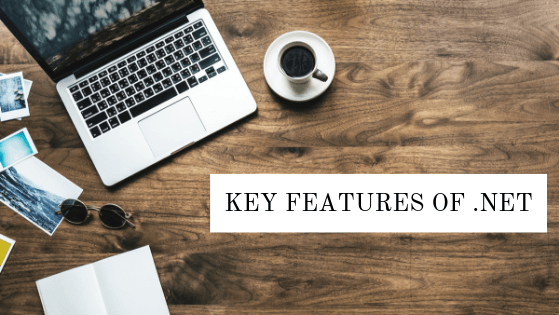 These features enhance enterprise users to have access to important apps. Building a good app is only a part of the whole developing process. Deployment is also a great issue. For that matter, the build app will surely deploy and will be put in the production process. Hence, comes the deploying benefit of building an app in .NET. It offers Xcopy deployment i.e the capability of copying the files into directory, preparing them to run. Dot Net also supports the co-existence of the same library and the same server. This proves that, it is effective for enterprise application development and deployment. Thus, an app developed on .NET framework can easily be ported on other servers along with the easy access to all the enterprise clients. For any enterprise, be it a big or small, the security concern of an application is as crucial as its performance. For this, the framework of .NET works beyond the expectations. It comes with the features such as Code Access Security, validation and verification. Dot Net framework allows companies to develop robust and extremely secure web applications. Being such an efficient app development framework, scalability attribute comes as a perk with it. The application developed with .NET are customizable which are adequate to tackle the load, even if increases! This feature alludes the need for re-investing in the development of new software even if the business is growing. Every app that is built is required to use the services like a cloud or on-premise systems. Modern cross-platform apps depend on API, cloud data, and cloud processing. So, the apps developed in .NET can be used on cross-platform easily. Consider an instance of using your enterprise app on a mobile phone: as you switch the platform, the app in mobile integrates with the cloud services, and then you’d want to bring your mobile skills to the cloud, making it even more compatible. Dot Net Framework by Microsoft was developed in the year 2000 by Microsoft Corporation. It is one of the most powerful app development tools in the IT history. According to Microsoft’s recent declaration, the cross-platform responsibility would now allow a full open source and server-side stack for .NET. Also, it is powered by Microsoft so, it gets updated frequently as per the present tech world’s needs and wants. Undeniably, Dot Net framework is the best thus, it is preferred over all other application development framework. Explore the key features of .NET and learn an enterprise application developed in .NET can help grow your business. And, in case, this idea of developing an enterprise application intrigues you then, check out the great IT services provided by Orion eSolutions. .NET framework is said to be a software that was developed by Microsoft for building, deploying and running applications and services that use .NET technologies, such as desktop applications and Web services. The first version which is .NET framework 1.0 was released on 13th February 2002 for Windows 98, ME, NT 4.0, 2000, and XP. The software provides a controlled and directed programming environment where software can be developed, installed and executed on windows based operating systems. 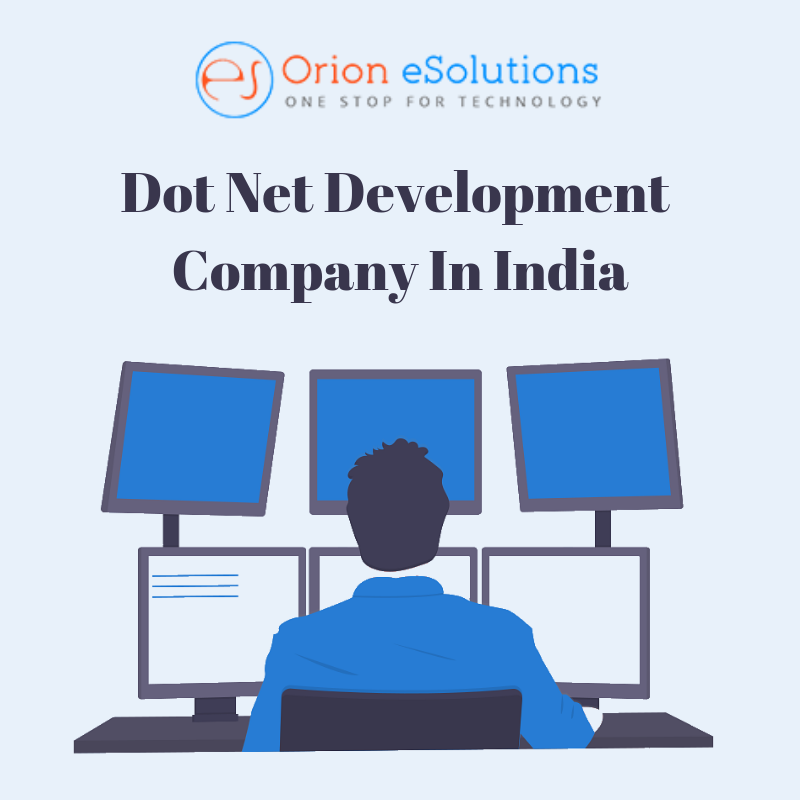 It is pronounced as – dot-net– If you are reading this article then you probably came across it on your quest to know more about the subject matter. The truth is there are many things you need to know to be able to explore the software maximally. However, I will just give us a rundown of some facts we shouldn’t miss to get the right spark towards using the .NET Framework. So here are ten things you really need to know about it. .NET is made up of ? This allows programs developed in the .NET to exhibit common behaviors in memory usage- It is also the execution engine that handles running apps. This contains tested, reusable codes that are used by programmers to avoid rewriting of codes. It is closely integrated with the Common Language Runtime and is object oriented, providing types from which your own managed code derives functionality. This is a language independent, open-source, server-side web application framework designed for web development to produce dynamic web pages. It was also developed by Microsoft to allow programmers to build dynamic web sites, web applications, and web services. This platform was first released in January 2002 alongside version 1.0 of the .NET Framework and is the successor to Microsoft’s Active Server Pages(ASP) technology. The Web applications developed in ASP.NET are as secure as the confirmation of Windows and its configuration can be attained for every application. It is established on the Common Language Runtime (CLR), allowing programmers to write ASP.NET code using any supported .NET language. Is Dot Net an Environment? Yes, it is an environment that permits about 60 different programming languages both developed by Microsoft (C#.NET, VB.NET, C++.NET, J#.NET, F#.NET, JSCRIPT.NET, WINDOWS POWERSHELL, IRON RUBY, IRON PYTHON, C OMEGA, ASML-Abstract State Machine Language) and other companies such as PHP to cooperate effortlessly to create Windows-based applications that are easier to build, manage, deploy, and integrate with other frameworks. The programs that are written for .NET Framework are executed in a software environment (compared to a hardware environment) named Common Language Runtime(CLR), an application virtual machine that provides services such as security, memory management, and exception handling. Therefore, computer codes that are written by the use of .NET Framework are called “managed codes”. FCL and CLR together constitute the .NET Framework. It provides you with immediate security benefits through its managed runtime. A collection of services prevent critical issues like bad pointer manipulation or attempts to alter compiled code. Microsoft takes security seriously and releases update whenever a threat is found. Code Access Security (CAS): It is dependent on evidence that is associated with a specific assembly, the evidence is usually the source of the assembly and it makes use of evidence to determine the permissions granted to the code. Validation and Verification: This is the backbone of .NET security. The loaded assembly allows the CLR to perform various tests. Two such tests are validation and verification. During validation, the CLR checks that the assembly contains valid metadata and CIL, and it checks that the internal tables are correct. Verification is not so exact. The mechanism of verification checks to ensure that the code does nothing that is ‘unsafe’. The algorithm that is used is conservative and so sometimes code that is ‘safe’ is not verified. The performance of the software framework is seen when an application is first launched, the .NET Framework compiles the CIL code into executable code using its just-in-time compiler, and caches the executable program into the .NET Native Image Cache Due to caching, the application launches faster for subsequent launches, although the first launch is usually slower. To increase the speed of the first launch, developers may use the Native Image Generator utility to manually ahead-of-time compile and cache any .NET application. The garbage collector, integrated into the environment, can introduce unanticipated delays of execution over which the developer has little control directly. The number of objects that the garbage collector needs to work with can become very large in large applications, which means it can take a very long time to visit and rearrange all of them. What are the Memory Management Fundamentals in .NET? Indeed Memory management is of utmost importance in such software. The CLR frees the developer from the burden of managing memory (allocating and freeing up when done); it handles memory management itself by detecting when memory can be safely freed. As long as there is a reference to an object, which may be direct, or through a graph of objects, the object is considered to be in use. When no reference to an object exists, and it cannot be reached or used, it becomes garbage, eligible for collection .NET Framework includes a garbage collector (GC) which runs periodically, on a different thread from the application’s thread, which enumerates all the unusable objects and reclaims the memory assigned to them. It is a non-deterministic, compacting, mark-and-sweep garbage collector. The latest version of the .NET framework uses a concurrent garbage collection with user code, making pauses unnoticeable because it is done in the background. The garbage collector that is used by the software is generational. What are the system requirements to install .NET Framework? It is necessary to know the installation requirements after seeing the great benefits of the .NET framework. The .NET Framework requires administrator privileges for installation. If you don’t have administrator rights to the computer, then you have to contact your network administrator. There are many other requirements that are needed to be in place to get the software running but the good thing is it runs on windows. Can we use .NET Framework to develop Mobile Application? It can be used to create windows mobile apps. You can create rich native apps using .NET across iOS, Android & Windows. Share code across device platforms with .NET Standard. Share UI with Xamarin.Forms and XAML for maximum code reuse. It makes it easier and faster for these mobile applications to be created by developers. It makes use of modern language constructs like generics, Language Integrated Query, and asynchronous programming which makes developers productive. With 100% of the native APIs exposed, you have full access to device capabilities. What are the Job Opportunities in .NET? There are lots of job opportunities as there is a high demand for experts in different software companies due to the huge relevance of the .NET Framework. .NET developers are always in demand especially in an I.T growing nation like India. Is .NET different from ASP.NET? .NET Framework is different from ASP.NET, while the former is a framework that can be used to develop web applications as a complete package, the latter is a part of .NET Framework that is used to create dynamic web applications and services in any NET language. They should not be confused. With .NET, you can target any application type running on any platform. You can use multiple languages, editors, and libraries to build for the web, mobile, desktop, gaming, and IoT. Developers can reuse code and skills across all of them in a familiar environment. It is really fast which makes the applications provide better response times and requires less compute power. It is faster than any other popular framework. .Net is a software development framework offered by Microsoft. It was meant to develop software for a windows platform but now it can be used to develop cross-platform applications. It is one of the most widely used and popular frameworks used mostly for web development. It is also viewed as the main competitor to Java development framework and to PHP. It provides modern language constructs like generics, Language Integrated Query (LINQ) and asynchronous programming which helps to develop high-quality applications faster. Apart from all these features, it is one of the secure platforms to develop modern applications. Even critical issues like bad pointer manipulation or malicious attempts to alter compiled code can be prevented easily. Which are the earlier and the latest versions of .Net? In 2002, the first version of the. Net framework was released, and it was called .NET Framework 1.0. Since then it has come a long way and the current stable version is .NET Framework 4.7.2. The initial version of .Net Core i.e, .NET Core 1.0 was released in June 2016. Later .NET Core 1.0.4 and .NET Core 1.1.1 were released along with .NET Core Tools 1.0 and Visual Studio 2017 in March 2017. The current stable version for .NET Core is 2.2. The current version of .NET Framework features many cryptographic improvements, better support for ZIP archives for decompression, and additional APIs for collection. The latest version of .Net provides support for dependency injection (DI) thereby reducing the work involved in creating separate dependencies for each object. SameSite Cookie – It prevents browsers from sending cookies along with cross-site requests. SameSite Cookie has been added in HttpCookie type in .NET Framework 4.7.2. Provides SQLClient Support for Azure Active Directory Universal Authentication and Multi-Factor Authentication. Can I use .Net while developing Angular.js applications? Yes, you can use .Net Framework while developing Angular.js applications. To start a Angular project with .Net you need to consider few things. Angular is used with TypeScript, Webpack, npm and NodeJS. So, you need to setup these prerequisites in your .Net project and then you need to install Visual Studio and create an ASP.Net project and install the dependencies. 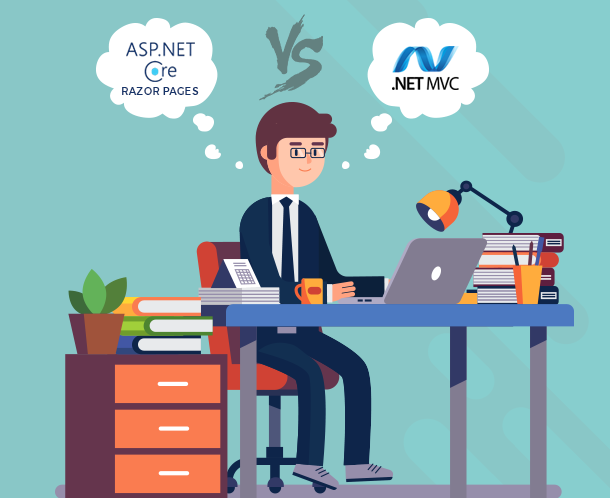 What should I choose to develop my application: .Net Core or .Net Framework? .Net Core is a cross platform version of .Net for developing your applications whether it is a website, services or console apps. 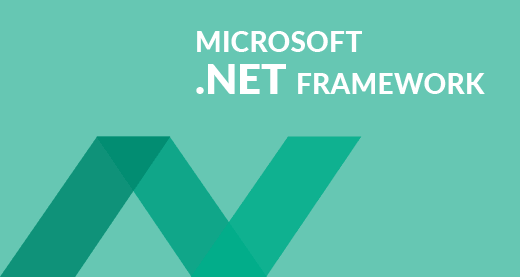 Whereas .Net Framework is used for developing applications for windows platform only. You can build any type of app that runs on windows using .Net Framework. So you need to consider whether you are building a cross platform app or a windows only app while choosing .Net Core or .Net Framework. What kind of applications can be developed using .NET framework? There are wide range of applications that can be developed using .Net. Applications such as a responsive and interactive website, mobile apps, web apps, desktop applications, IoT applications and so on. .Net can be used to develop web applications which can range from simple HTML website to enterprise applications that can run on local as well as remote networks. 1. 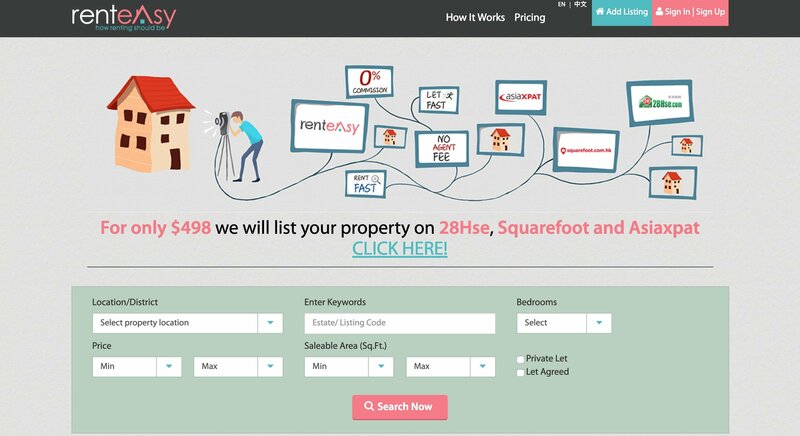 Renteasy – It is a platform where people in Hong Kong can buy and rent properties easily. 2. Ancestory – It is a platform where people try to discover their ancestors. With .Net you can build rich native apps using C# across iOS, Android and Windows while maximizing code reuse. .Net enables you to develop windows form-based applications which are data-centric and modern line of business (LoB) applications for common day to day tasks like Microsoft word. These applications consume the services provided by Windows OS. They help in interacting with objects over the internet. With .Net you can create web services based on industrial standards like XML, SOAP and WSDL. The .Net framework enables you to rapidly develop console applications by providing library classes with output display capability in different formats. With .Net you can develop 2D and 3D games for desktops, mobiles and consoles. With .Net you can create IoT apps with native support for the Raspberry Pi and other single-board computers. Which platforms have support for .NET Framework? Initially when .Net was launched only windows platform used to support .Net. But today linux and apple environment also supports .Net core framework, a framework which consists of runtime, library, and compiler components. Whether you are working in C# or Visual Basic, your code will run natively on any compatible OS. There are different .Net implementations that can be used for websites, servers, console apps, mobile apps, services etc. 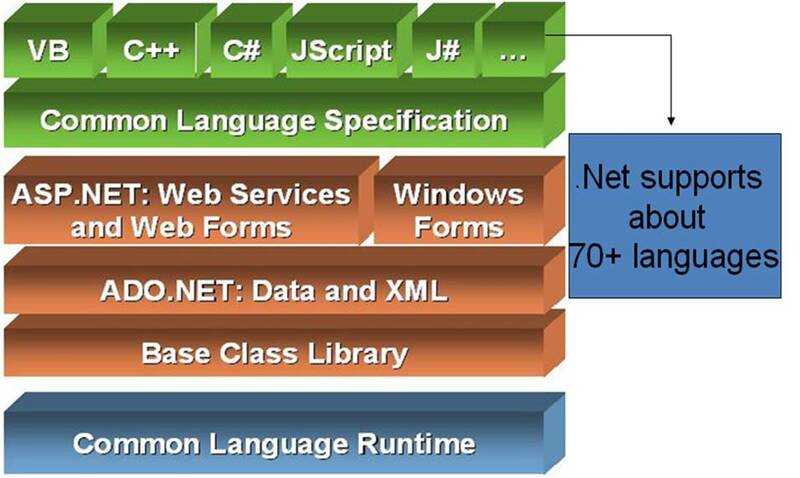 What all languages are supported by .net framework? .Net supports following Microsoft supported languages such as C#, VB.net and F#. Most widely used language is C#. C# is a simple, modern, object-oriented and type-safe language for programming. F# is an open source, cross – platform, functional programming language for. NET. It also includes object-oriented programming and imperative programming. Visual Basic is an accessible language for building type-safe, object-oriented applications with a simple syntax. Apart from Microsoft supported languages .Net also supports third party programming languages such as Java, Python, PHP for development. Which industries are widely using .NET? Today majority of the industries are using .Net for their infrastructure development. Be it automotive to Banking and Finance, or infrastructure utility companies, you will find .Net being used in almost every industry. However, looking at top industries that use .Net we find that Software and Information Technology companies lead the way when it comes to using .Net for development purposes. These are followed by Health Care, Financial Services, Marketing and Advertising, Internet, Education and so on. The reason behind Software and IT companies being the top most users of .Net can be presumed to be the affinity for other Microsoft technologies and the security benefits that it provides. What are some popular applications developed using .NET? There are millions of applications developed or being developed using .net. However, some applications worth mentioning are Solidworks, NX (Siemens PLM), Autocad and several other CAD applications which use .net for some of the components using WPF. Other major applications such as office 365, exchange server, IIS also use .net framework. Other than these applications many popular websites have been developed using .Net. Godaddy is the most popular hosting service provider uses .Net for MVC. While many of us know that StackOverflow is a question & answer website for developers. But very few of us know that the entire site is built on ASP.NET MVC. Dell being one of the top PC makers & distributors uses .Net for its website. Being the creator of .Net uses it for MVC in its website. Mindtree is one of the leading IT consultancy firms in the world which uses .Net for developing and maintaining its website. Do all IT software service companies in India provide support for .Net framework development? Majority of the software service providers in India provide support for .Net framework-based development. Industries have been divided into Tier-1, Tier-2, Tier-3 model where these tiers have been created on the basis of the CMMI or the capability maturity model. Tier 1 companies are those which have capability to conceptualize, design, develop, build, test, deploy and provide maintenance support for .Net applications. Tier 2 companies provides some capability where they might offer services in development and testing but may not offer deployment or maintenance services. What are the things to consider while choosing a .Net development company? .Net is still the leader of web development across the world. While large no. 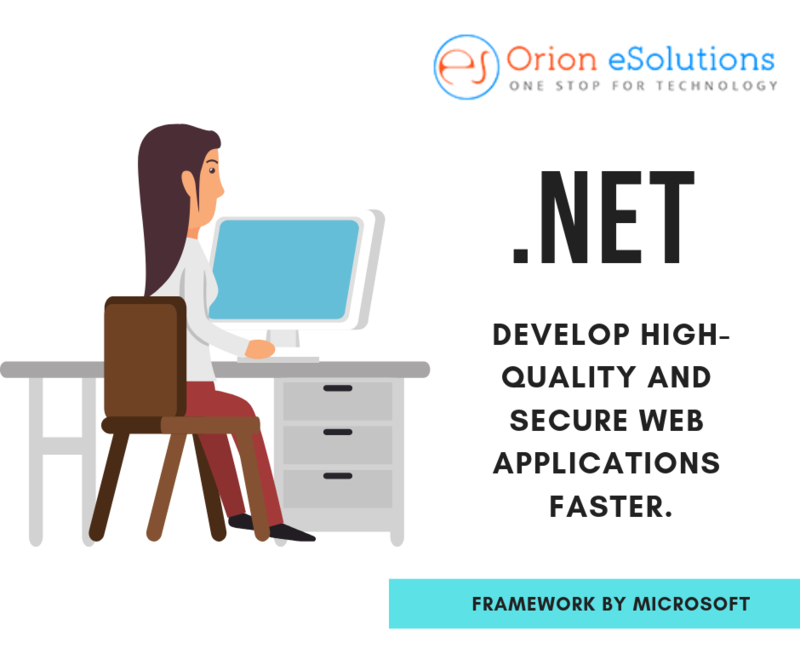 of new technologies are emerging for web development and other application development purpose .Net is still the recommended tool for development of Microsoft related applications. While developing applications can get more complex it makes sense to outsource your project to a software development company. However, there are certain things that you should consider while choosing a .Net development company. Company Portfolio – The first thing to consider is company’s portfolios. Successful businesses never hesitate to share their previous work. Go to the company’s website and look for their projects portfolio. Look at their customers testimonials. You can start a plan to hire them by looking at who their previous customers are and what projects they have completed for those customers. It will help you in selecting the best company for your requirement. Management and Communication – The communication process of a company is an important aspect for the success of your project. It should be seamless with the customer throughout the application development process. You should ask the company how they will be communicating with you during the lifecycle of your project. You must ensure that, the company needs to understand your ideas perfectly to develop the application which you want. Timely Delivery & Cost of development – An important aspect is completion of project on time and that too within your budget. Your selected company should have a proven track record of delivering projects on time and they must have backup developers who can take over your project if some lefts the company. Scalability -Another important aspect is to consider Scalability. Whether the company can provide robust, aesthetic, and scalable solutions to meet the needs of your growing business needs or not! Legal Agreement – How can we forget to add this point! You should have a project contract with the development company. This includes legal formalities, standard provisions or clauses which will legally ensure that your project is completed on time and you get your project as per your expectations. A contract can bind the company to complete the project as specified in the contract. As their reputation is at stake, they are obliged to provide the best solution. While there are a lot of programming languages out there for all the possible use cases the major problem with majority of these languages is that they are good at only one use-case. Programming languages like ruby, python, scala, nodejs, and others have specific use cases. The main advantage of using .Net is that it can be used for a wide variety of use cases. It becomes very hard for a developer to learn different languages to solve a broad set of problems. The main advantage with .Net is that it can be used to develop a wide variety of applications. With .Net now a cross platform and open source framework there is no limit to what you can do with it. With continuous improvements to its features and its ability to create complex applications much faster than any other framework it has become the prime choice among enterprises for their application development. Now that you know all the advantages of using .Net you might need a software company to develop your application. 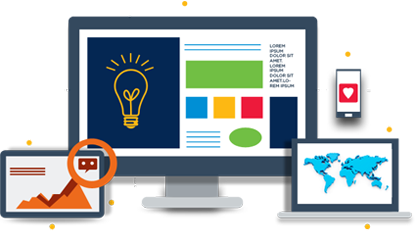 It is advisable to keep all the points mentioned above in mind while considering hiring a .Net development company so that you end up with the best company which not only provides the best rates but also provides quality services in time.